You have seen it before. You have the smoker fired up and friends over. But, good BBQ takes time and your guests, no matter how hard they try, cannot live on beer alone. What is a host to do to keep the hungry masses at bay? 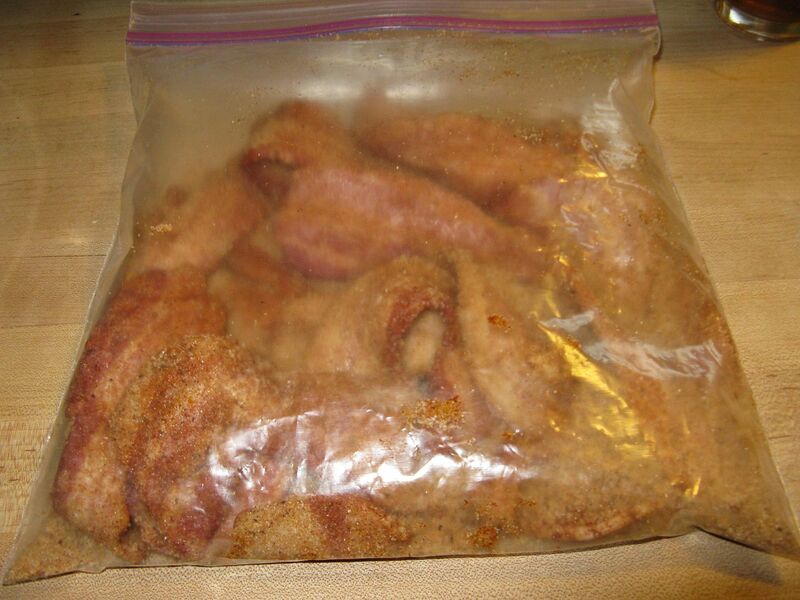 I give you Pig Candy. 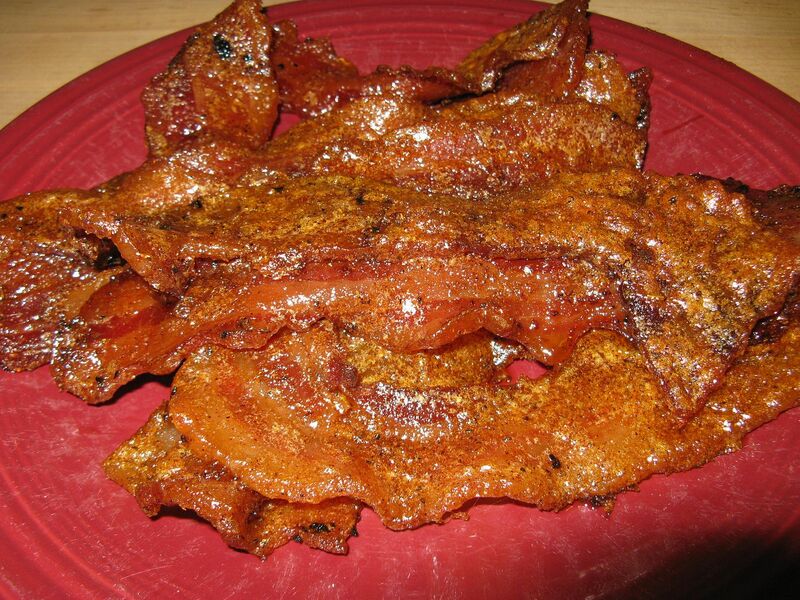 Pig Candy is the pitmasters term for candied bacon. It is easy to make and loved by all. 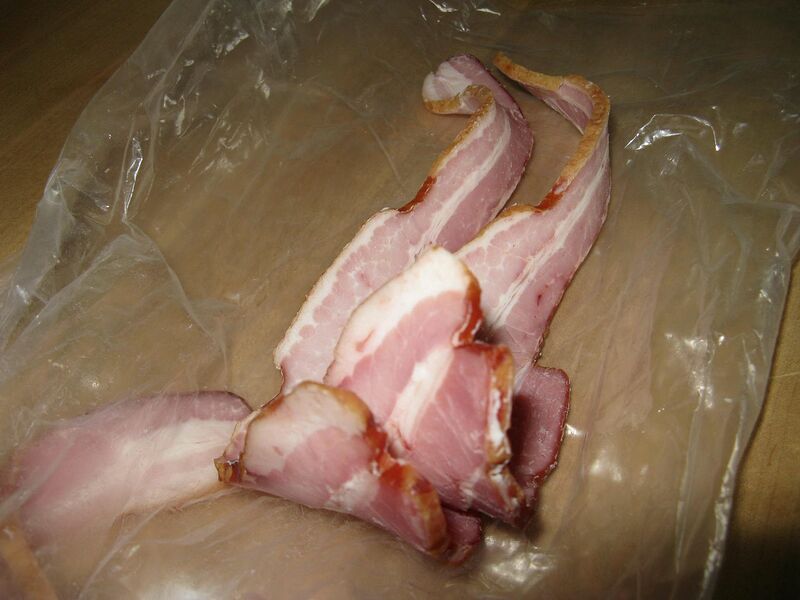 As for choosing your bacon, a thick cut is better. It increases the meat to sweet ratio, is easier to handle, and doesn't fall apart during the kneading stage (more on that later). We buy our bacon from our butcher, Dave's Country Meats. the bacon is leaner than most, not too salty, not too sweet, and kissed lightly with hickory smoke. This bacon has a nice thicker slice, between 1/8 and 1/4 of an inch. 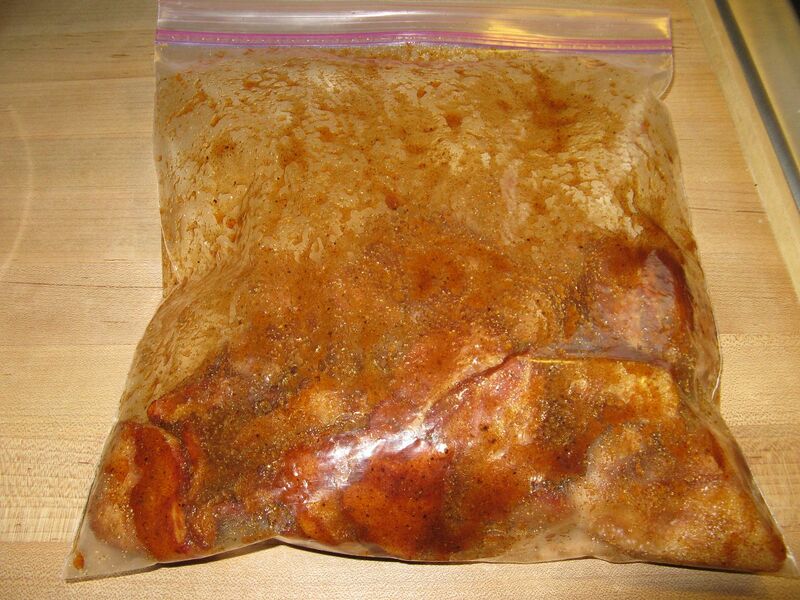 I took about a 1/2-3/4 of a pound of this beautiful pork product and placed into a plastic bag with 1/2 cup of brown sugar mixed with three tablespoons of Oakridge Beef and Pork rub. I like this rub because it has a bit of a kick, but you can use whatever you have on hand. Pig candy is actually a good way to get rid of that last little bit of rub in the jar. At this point, I seal the bag with a lot of air inside. Then, I shake it up to distribute the sugar and rub mix evenly across the bacon. Then, I just put it on the counter and walk away for about 45 minutes. After 45 minutes, the sugar and rub mix has started to pull the moisture from the meat, creating a gooey mess. This is when you let the air out of the bag, seal tight, and start to knead. You have to knead the bacon for about 10 minutes to ensure that the sugar rub mix is evenly coating the bacon. Then, head out to the smoker and spread your bacon out on a rack to cook. Cook times vary with the temperature that you are smoking at and the thickness of the bacon. I was smoking at 225 F. So this batch took about 1 hour. At 250 F, it takes about 45 minutes and about 30 minutes at 300 F.
Pull the bacon from the smoker, put on a plate, and get out of the way before you get trampled in the stampede. I have seen certified health nuts polish off half of a plate once they get a bite. Slightly crisp bacon, sweet and savory, what is not to like. Don't have a smoker? Don't worry. You can make this in your oven on a parchment paper lined cookie sheet. You don't even need the parchment paper. But, you will have the scrape the melted sugar off of the sheet at the end. Maybe that is not so bad. No certified health nuts at my house. Maybe certifiable. You are the picture of health Chilebrown. I am actually going on a 40 mile organized bike ride this morning. There is a 70 percent chance of rain. This wet puppy will have an appetite this afternoon. You will never finish if you pedal by either an a. butcher, b. farm market, c. BBQ joint. this looks great, Bill, and I do have quite a lot of leftover bacon! Go for it. You won't be disappointed!